Three polls released at the end of March add to the trend that rural Saskatchewan and Manitoba are becoming stronger and stronger supporters of conservative parties. Southeast Saskatchewan and southwest Manitoba have always been Conservative strongholds. Moosomin has existed as an electoral district since the province of Saskatchewan was formed in 1905, and is one of only two ridings in the province to have never elected an NDP or CCF MLA. But there was a time when other parties had representation outside the cities on the Prairies. 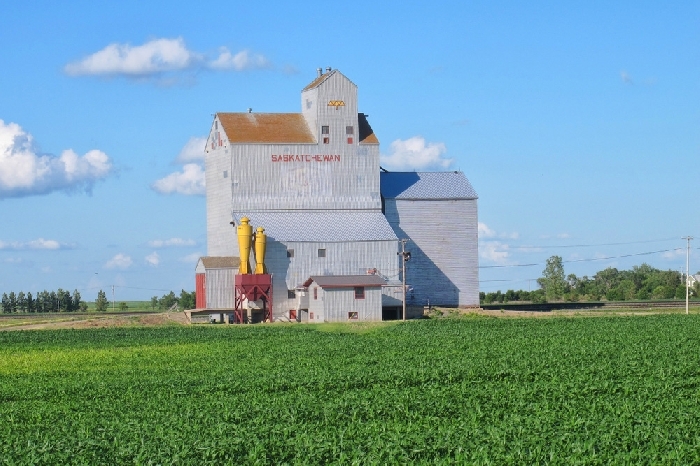 The rural areas surrounding Yorkton were long known as Red Square because of the strength of the NDP vote, and even in Conservative bastions like Moosomin the other parties could mount a strong campaign and the vote could be close. The last few elections have seen Conservative candidates win by larger and larger margins, and two provincial Mainstreet polls and the latest national Angus Reid Poll show conservative strength still growing. The Angus Reid Poll shows that federal Conservative support is now higher in rural Saskatchewan than in rural Alberta. The Angus Reid Poll had a particularly large sample—5,807 people—which allows the sample to be broken down in smaller geographical units. Rather than Saskatchewan and Manitoba being grouped as one unit, the poll allows Saskatchewan to be broken down into the Regina area, the Saskatoon area, and the rest of Saskatchewan. It shows that while the Conservatives are ahead in all three regions, they dominate the rural electorate with 75 per cent support compared to 10 per cent for the Liberals and eight per cent for the NDP. In most of the country, 75 per cent support for any one party would be unbelievable, but in rural Saskatchewan the numbers ring true. Conservative MPs have won the Souris-Moose Mountain federal riding with more than 70 per cent of the vote for the last three elections. According to the Angus Reid poll the support for Conservatives in rural Saskatchewan is even higher than in rural Alberta, something that would have been unthinkable even a few years ago. The same trend can be seen in Manitoba, where the Conservatives are ahead across the province, but they lead with 38 per cent of the vote in Winnipeg and dominate in rural Manitoba, with 65 per cent of the vote, compared with 13 per cent for the Liberals and 10 per cent for the NDP. The poll showed, like other polls, the trend swinging strongly to the Conservatives since the SNC story broke, with 37 per cent support for the Conservatives, 28 per cent for the Liberals, 17 per cent for the NDP, and 8 per cent for the Green Party. Above: Results from the national Angus Reid poll taken in late March. The large sample size allowed the vote to be broken down to urban and rural samples within the Prairie provinces. The Mainstreet poll in late March shows that among decided and leaning voters, the Saskatchewan Party led by Scott Moe has 55%, while the NDP with Ryan Meili at the helm has 31.2%. The Liberals with Naveed Anwar have 4.9%, while Shawn Setyo and the Green Party have 4%. The survey also asked Saskatchewan voters if they had a favourable view of all four party leaders. Scott Moe—as with the previous three Mainstreet polls—has a strong net positive rating of +18.8%, while Ryan Meili has a negative net rating of -5.8%. Again breaking down the poll between urban and rural Saskatchewan, the Saskatchewan Party leads with 43 per cent in Regina and 44 per cent in Saskatoon, but has a commanding lead with 67 per cent in the rest of Saskatchewan, which includes Moose Jaw, Prince Albert, and northern Saskatchewan. The numbers seem to match recent experience in rural Saskatchewan. During the last three elections, the Saskatchewsn party in the Moosomin constituency has received between 72 per cent and just over 77 per cent of the vote. Moosomin MLA Steven Bonk won the last election with five times the number of votes of his closest competitor, and about 27 times more votes than the Liberal candidate in the riding. The strongest opposition in the Moosomin riding in the last election came from the NDP, with just under 14 per cent of the vote. The NDP vote in the riding has been on a general decline for more than a quarter century, since candidate Mary McGuire hit almost 40 per cent of the vote in 1991, and the NDP vote in the last election was less than half what it was in 2003. The Liberal candidate in Moosomin came in sixth in 2016, with a total of 191 votes. In Melville-Saltcoats, Saskatchewan Party MLA Warren Kaeding won the last two elections with about 73 per cent of the vote. And in Cannington, Saskatchewan Party MLA Dan D’Autremont has won the last five elections with between 71 and—in the last election­—84.46 per cent of the vote. In that last election, D’Autremont received 6,444 votes—almost 10 times the number of his closest competitor, Nathaniel Cole of the NDP (674), and more than 48 times the number of votes of his Liberal competitor, Tierra Lemieux (133). Above: Results from the Mainstreet Saskatchewan Poll taken in March show a lead for the Saskatchewan Party across the province, but a massive lead in the areas outside of Regina and Saskatoon, an area encompassing Moose Jaw, Prince Albert and northern Saskatchewan, as well as rural Saskatchewan. According to the latest Mainstreet Manitoba poll, among decided and leaning voters, the PCs have 44.8 per cent support, while the NDP led by Wab Kinew come in with 32.1 per cent. The Liberals with Dougald Lamont at the helm currently enjoy 13.1% (-3.9%), and the Greens with James Beddome as leader have 6.7% (+2.1%). In the City of Winnipeg, the poll shows the provincial NDP in the lead with 37 per cent support, the Progressive Conservatives second with 35 per cent, and the Liberals with 17 per cent. But in the rest of the province outside Winnipeg, the Progressive Conservatives have 61 per cent support, the NDP 24 per cent and the Liberals 7 per cent. And it’s a fair assumption that the Conservative support is even higher in rural southwest Manitoba. In the last provincial election, Progressive Conservative Doyle Piwniuk won Arthur-Virden with more than 80 per cent of the vote. The 2016 vote was the fifth consecutive election in which the Progressive Conservatives increased their share of the vote in Arthur-Virden. Doyle Piwniuk’s 6,006 votes was more than seven times the votes of his closest competitor, Frank Godon of the Manitoba Party, and more than ten times the votes of the NDP. NDP candidate Lorne Topolniski came in third in that election, and may have set a record for the most frugal campaign in history, reporting campaign spending of $146.90 for the entire campaign.